How Can I get the Daily Creation Moments in my email? Go to our Daily CMI Sign Up page . Enter your email and hit 'Go'. How can I buy a book that contains these daily Creation Moments? Can I get Creation Moments on my local radio station? Yes! Just voice your interest. Mentioning that they can just use our Station Sign Up page to receive our cd's in the mail or get access to our online download area. 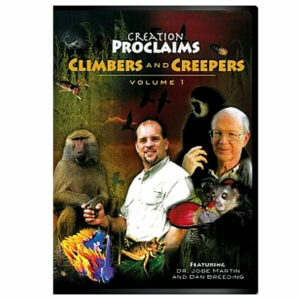 Is Creation Moments aired in my area/state? You can use our Station Finder to locate radio stations near you airing Creation Moments. Read articles and get answers to creationism questions on our articles page on creationmoments.com. Creation Moments is a nonprofit, 501(c)(3) interdenominational Christian outreach program that exists to glorify God by presenting scientific evidence for the Bible and its literal truths. We serve individuals, students, churches, home schoolers and professionals by offering products and resources that uphold the truth of God in creation. We provide accurate, up-to-date information about new discoveries in God's creation and how they relate to the Bible in three primary areas: Christian Radio Outreach, Products, and Outreach Lectures. Your radio program is insightful, thought provoking, and applicable to my daily walk with Christ my creator. Thank you for your faithfulness to God and His word."